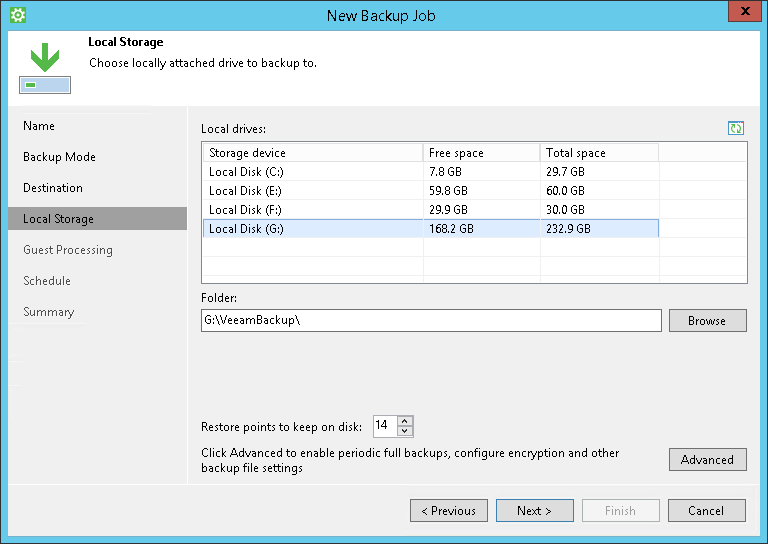 You can use rotated drives as a target location for backups. This scenario can be helpful if you want to store backups on several external hard drives (for example, USB or FireWire) and plan to swap these drives between different locations regularly. Veeam Agent for Microsoft Windows creates a backup chain on an external drive that you use as a backup target. The backup chain consists of the first full backup and a set of subsequent incremental backups. When you swap drives and attach a new external drive, Veeam Agent for Microsoft Windows creates a separate backup chain on the new drive. After you swap drives again, Veeam Agent for Microsoft Windows detects if there is a backup chain on the currently attached drive. 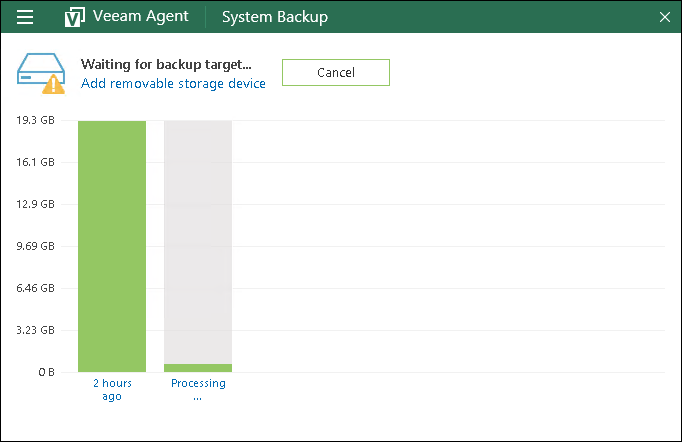 If the backup chain exists, Veeam Agent for Microsoft Windows continues the existing chain: it creates a new incremental backup file and adds it to the existing backup files. Attach one of external drives from the set to your computer. At the Local Storage step of the wizard, select the connected drive. 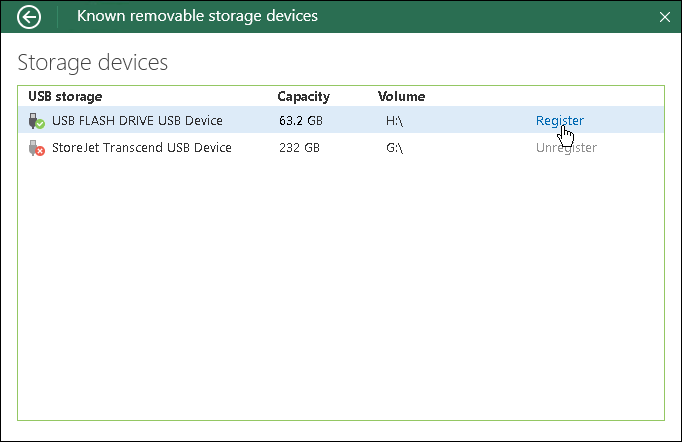 From the Local drives list, select the necessary volume on the connected drive and specify a folder where backups must be stored. When you need to swap files, disconnect the drive that was used previously and attach a new drive to your computer. Double-click the Veeam Agent for Microsoft Windows icon in the system tray to open the Control Panel. Click Register next to the newly connected drive. If you do not register the newly connected drive before the backup job starts, Veeam Agent for Microsoft Windows will be unable to detect the backup target and launch the backup job. Veeam Agent for Microsoft Windows will display a warning in the system tray and in the Control Panel. To register a new device, click the Add removable storage device link in the Status view of the Control Panel and register the newly connected drive as described above. To learn more, see Managing Rotated Drives. After you register the newly connected drive, you can start a new backup session manually or wait Veeam Agent for Microsoft Windows to start a new session.